Since digital distribution and the indie boom have given new leases of life to game platforms in their twilight years, it's become increasingly hard to pin down a time of death for a console. Is it when the manufacturer stops building new hardware? Yet a platform could sustain a viable market for quite some time beyond that point; a counter-point equally relevant to using the end of first-party software support as the full stop at the end of a console's lifespan. In truth, modern consoles die in stages, but there's a particularly strong sense of finality to the stage which the PlayStation Vita reached this week, when Sony announced that it's set to end production of physical game media for the system. No more game cards is a major nail in the coffin, presaging the end of any retail presence for the system and essentially ending Vita's lifespan for all but a handful of minor digital releases. "The Vita's commercial failure doesn't reflect strong negative consumer sentiment about the device - something that the Wii U had much more of a problem with"
In the annals of the industry, Vita is going to go down as Sony's worst failure since it entered the games business in the mid-1990s. 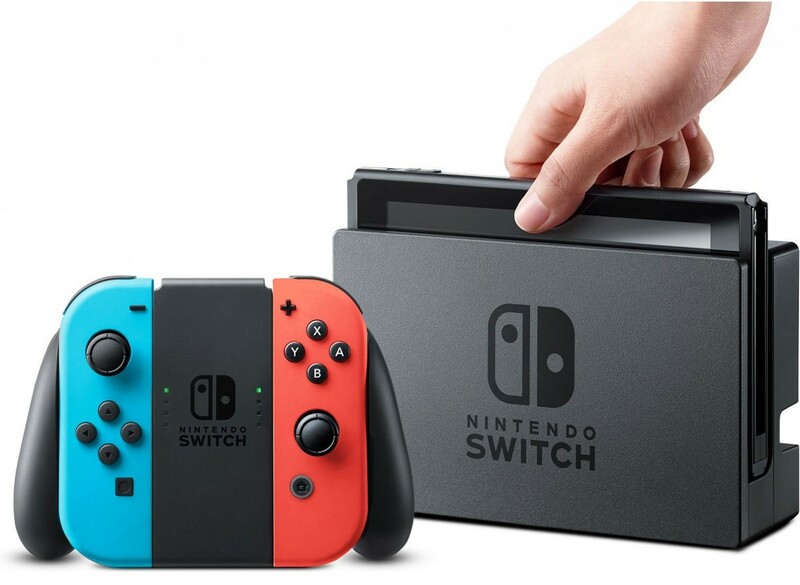 It sold south of 15 million units, placing it only marginally ahead of Nintendo's disastrous Wii U, and the past few years have seen the console sustained on life-support by a trickle of Japan-only niche releases. The cliff-drop between the solid success of the PlayStation Portable and the commercial disaster of Vita is also comparable to Nintendo's face-plant as it transitioned from Wii to Wii U (albeit not quite as steep); a rough calculation based on installed base figures suggests that less than 1 in 5 PSP owners chose to buy a Vita. One of the most surprising and important things about the Vita's commercial failure is that it doesn't reflect strong negative consumer sentiment about the device - something that the Wii U had much more of a problem with. In fact, initial response to Vita was almost universally positive. The hardware design was Sony firing on all cylinders, turning out a device that packed an astonishing amount of power into a tiny, meticulously considered form factor; praise was especially lavished on the huge, beautiful OLED screen in the first generation of the hardware. There were some classic Sony eye-roll inducing decisions in the mix as well - unjustifiably forcing users to buy proprietary memory cards is practically the company's calling card - but by and large Vita launched to an enormously positive reception. There are a number of plausible narratives about why the Vita so rapidly went from such a promising start to commercial disappointment. The booming success of smartphones and smartphone gaming is often cited, and certainly forms some of the context for what happened - but the fact that the Nintendo 3DS sold healthily during the same time-frame means that smartphone gaming alone can't explain what happened. One possibility is that the PSP had actually established a really tough market environment for its predecessor. Much of the PSP's later success came off the back of being the de facto platform for Monster Hunter in Japan, which meant that gamers in other territories developed a sense of the PSP "gathering dust" and not being well-served with software, while Monster Hunter players were dissuaded by Capcom's late and half-hearted launch of the franchise on Vita. It's also entirely fair to say that the early booming success of PlayStation 4, which caught Sony itself by surprise, resulted in the firm pivoting to focus on its home console very rapidly, leaving Vita looking rather unloved in its wake. This was almost certainly the right decision commercially, but it didn't do anything for the fortunes of its handheld platform. "These ideas were compelling - and to some degree, it's fair to see the Vita as a conceptual ancestor to the Switch"
There is another way to look at what happened to Vita, though, one which also demands something of a reassessment of the console's fortunes and its place in the industry's history books. Vita certainly suffered from each of the issues outlined above, and more besides, but the device was also an extraordinary test-bed for new ideas and concepts whose impact on the console business has been far greater than its installed base would suggest. Perhaps it's because the Vita's form factor was so close to the venerable PSP's, or perhaps just because many of its most ambitious features never quite got traction with the console's audience, but it can feel like Vita is often dismissed as "PSP 2.0, but unsuccessful", rather than being considered in terms of where it falls in the history of design and console concepts. Consider this; Vita was arguably the first handheld console to be explicitly designed not simply as a standalone device, but as an adjunct device for a home console. Vita on its own was a perfectly capable device, but it had the potential to really came into its own when married to a home PlayStation console. In this configuration it could act as a second screen for games, or even allow a game to be played remotely on the Vita screen while the TV was being used elsewhere. Some games launched Vita and home console versions simultaneously, with PS+ cloud-saving allowing players to seamlessly move their gameplay between the handheld and home device. This broad concept of a handheld console that extended and enhanced the experience of a home console is an incredibly powerful one, and granted, it's one that Vita never quite lived up to. The software support wasn't there, the understanding of the features never quite bedded in for many users, and actually getting some of these things to work could be fiddly at times. Nonetheless, these ideas were compelling - and to some degree, it's fair to see the Vita as a conceptual ancestor to the Switch, whose implementation of a similar but much more effectively implemented bridge between handheld and console gaming has been vastly more successful. Indeed, it's worth noting that getting these powerful concepts to actually work in a way that clicks with consumers is clearly very challenging. Nintendo also messed up badly with their first attempt at this kind of paradigm, the Wii U, only achieving success when they doubled down and tried again with Switch. The ideas that Sony tried out with Vita may not have quite worked first time out, then - but the demise of Vita as a platform in its own right doesn't mean those ideas aren't still influential at Sony and elsewhere. The success of Switch is proof of concept, and as Sony thinks about its next generation of hardware - PS5, or whatever it ends up being - the DNA that flowed from Vita through Switch is likely to be a major influence. How that ends up being implemented, whether it's through some kind of second-screen device, a Switch-like dockable tablet design or something entirely different, is hard to guess; but don't be surprised to see concepts and ideas from Vita leapfrogging the untimely end of that console and making their way into future hardware. I'd hesitate to say that Vita was just ahead of its time - there were too many missteps and too many other factors involved in its failure for a glib explanation like that to hold water. Even so, Sony's handheld failure may yet have an outsized role to play in shaping the future of the firm's console efforts. Great article. I ADORE the Vita... I now have more than 200 games for it. It always felt like technology that was well ahead of its time... and it is home to a few classics that can't be played anywhere else, including entries in the Uncharted and Killzone series. The best experience I had with the machine was playing through Atlus' incredible Persona 4: Golden. I would love to have a smartphone with all of the Vita's functionality (including its terrific physical controls), along with its generous library of premium console-style games. Yes the 3ds sold healthily during the rise of smartphones but it ultimately only reached about 1/2 the install base of the DS. Smartphones affected it greatly. I'd venture the Vita's audience was older than Nintendo's and thus it was hit even harder by smartphones than the 3ds was. What teen was going to want a Vita over a smartphone? Also have to remember Nintendo had to lower the price of the 3ds by a large amt shortly after it launched in order to juice sales. And that Nintendo fairly quickly launched the 2ds at a cheaper price. This shows the pressure they were under from the rise of smartphones. Don't think the Vita influenced the Switch or at least not enough to mention. Wii U was out less than a year after the Vita and surely in the works before that. And all or nearly all the games worked on both that handheld screen and tv screen from day one. Not to mention Nintendo did 2nd screen experiences at least a decade prior and also had a device that attached to their console and let customers play handheld games on their tv screen - The Gameboy attachment for Gamecube and the GBA link cable. Ultimately I think the Vita just reinforced the notion that the fastest tech isn't a sure thing. If anything it is more of anchor on potential. It makes the entry point more expensive and it makes the cost of game development more expensive.